Vincent joined the team in September 2012 to focus on client relationship management, business development and developing and executing investment strategies for our discretionary and non-discretionary client portfolios. Before joining Lee Stuart Bryson Biro, Vincent worked with Invesco Trimark as a Regional Associate, focusing on business development and client servicing. Prior to that, he held positions in equity research and business development at alternative asset managers in Toronto specializing in equity market neutral and long/short investment strategies. Vincent received a Bachelor of Arts degree (Political Science, Minor in Management Studies) from the University of Waterloo in 2006. He was awarded the Chartered Investment Manager (CIM®) designation and is also a Fellow of CSI (FCSI®), the pinnacle achievement in the Canadian financial services industry. He has received his options and derivatives license and has over 8 years of experience in the investment industry. 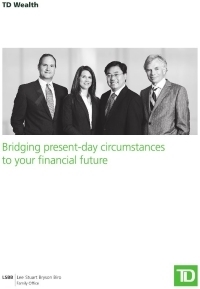 He is a Certified Retirement Specialist and is fully licensed with the Ontario Securities Commission and the Investment Industry Regulatory Organization of Canada (IIROC). Thor received a Bachelor of Commerce degree from the University of Lethbridge. 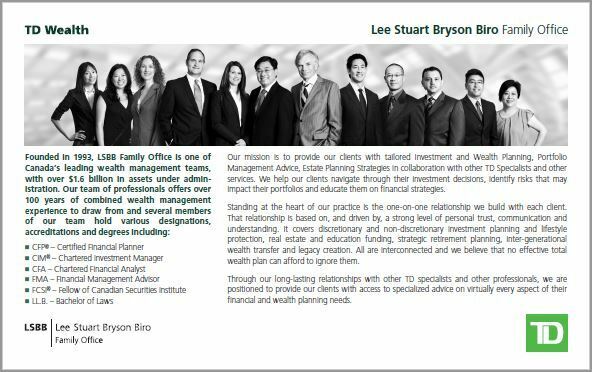 He was awarded the Chartered Financial Analyst designation in 2005 and is a member of the CFA Institute and the Toronto CFA Society. 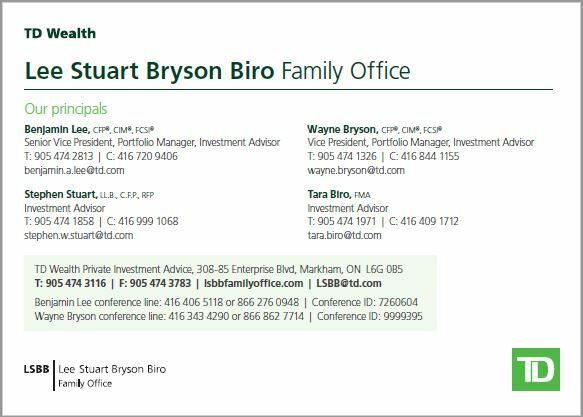 He is fully licensed with the Ontario Securities Commission and the Investment Industry Regulatory Organization of Canada (IIROC).